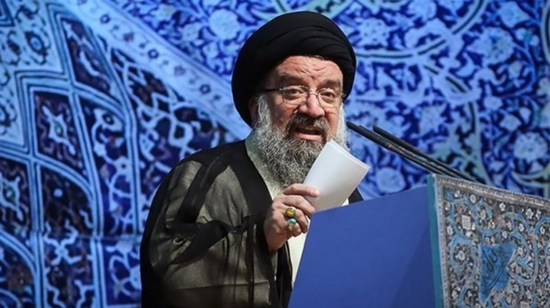 Substitute Friday Prayers Leader of Tehran Ayatollah Seyed Ahmad Khatami says people with different political affiliations will take part in the Bahman 22 (February 11) rallies, marking the triumph anniversary of the 1979 Islamic Revolution of Iran. Delivering his second Friday prayers sermon, Ayatollah Khatami said unity and solidarity have been the key to enemy failure in the past 40 years after the Islamic Revolution's triumph. Ayatollah Khatami said this year, the Bahman 22 rallies will be the most glorious of its kind over the past 40 years contrary to the enemy wishes. Elsewhere in his sermon, Ayatollah Khatami referred to the unveiling of Dezful ballistic missile with a range of 1000 kilometers and said it is in line with the Islamic system's policy of deterrence and defense.